After reading an an excellent post by tech-blogger Jon Udell on innovation, I spent the weekend getting reacquainted with work of Eric von Hippel, the researcher who pioneered the study of user-driven innovation. What’s interesting about von Hippel is that his research hits on the common themes of the open education movement, but does so in a slightly different key. Briefly, there are a number of intersecting debates about MOOCs. There is what Reich frames as the Dewey/Thorndike debate about what learning is. There is the centralized/de-centralized debate about what the web does best. There is the debate about about whether MOOCs are disruptive or innovative or neither, and the discussion over how much ability to remix teachers need to make classroom learning work well (answer, probably, is quite a bit). This is the question that von Hippel has been investigating for over thirty years now. And if we see innovation not as something that has happened, but as something we want to continue to happen, this may be the most important question of all. The traditional answer, says von Hippel, is that product industries (“suppliers”) are the innovators. In this view a company comes across a set of “sad users”, finds what their problems are, and designs (via research and development) a solution. The Valley Corporation then came in later and perfected it, allowing it to work more flawlessly, with less user intervention. They perfected it and prepared it for mass adoption. But the innovation was not theirs. Look under between 75% to 80% of all major innovations, and this is the story you find again and again, from the first heart-lung machine, to the development of wider skateboards, to protein-enhanced hair conditioners. On the web, people were running makeshift blogs well before Blogger, net-sync’ed folders well before Dropbox, video + question sequences well before Coursera. What smart companies do, for the most part, is not “innovate” but find what “lead users” are hacking together and figure out how to make that simpler for the general population to tap into. Research often plays its most important role after the fact, not in producing designs, but allowing us to determine which lead-user designs work best, and to understand what, exactly, is making them work. For many readers, this process may call to mind the EDUPUNK wave of 2008. The term was coined by Jim Groom in a conversation with Brian Lamb and subsequently extrapolated on by a number of edubloggers, eventually hitting the New York Times (if I remember correctly) as a word of the year. Jim Groom, when we all was younger. What some may not remember is that the coining of the term was a reaction to the announcement of Blackboard that they were moving to a Learning 2.0 platform, one that would (supposedly) integrate the technologies they had worked so hard to keep out of education because they weren’t perceived as serious or safe. Corporations are selling us back our ideas, innovations, and visions for an exorbitant price. I want them all back, and I want them now! My next series of posts will be about what I think EDUPUNK is and the necessity for a communal vision of EdTech to fight capital’s will to power at the expense of community. I’ve never fully gone for the “capital’s will to power” bit of that, although I know that piece remains important to Jim. But for me the piece that resonated — and still resonates — is the disturbing vision of an educational-technology-complex that is aligned against the communities of innovators that it supposedly serves. 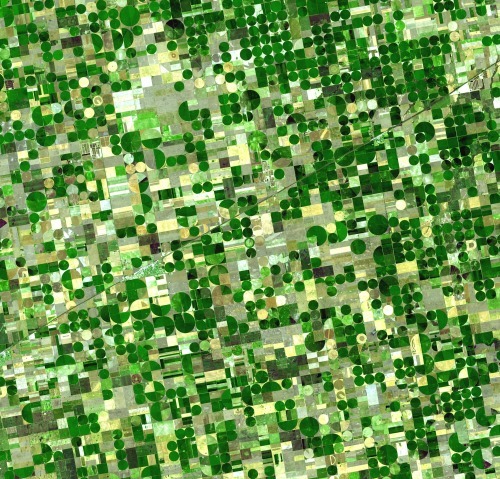 While a company like Blackboard, which produces tools to create things, may seem qualitatively different than an irrigation system company, it’s not different in the respect that it codifies practice. 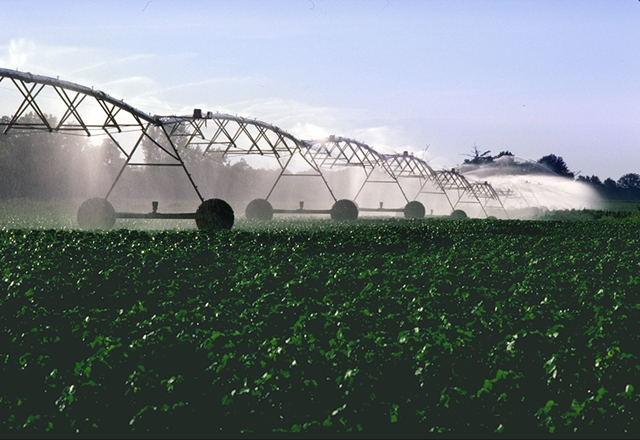 To the farmer coming up with an irrigation plan the range of devices and options available to her are just as much building blocks in an overall design as is the Blackboard gradebook or discussion forum. As Jim so rightly points out, such actions and attitudes destroy innovation communities rather than foster them. And it’s not just Blackboard either. The entire education reform-industrial complex has often waged war on educational communities, based on the perception that questions of educational practice are mostly solved, and if we could get teachers to just teach using the centrally specified method (or foundation-approved test) we’d be set. Technology thought leaders even make bizarre claims that there is no innovation going on in education, outside, of course, the Silicon Valley entities here to save us. People have termed this approach “a war on teachers”. It’s that, certainly. But since a subset of those teachers are where the innovations of the future are likely to come from, it’s a war on innovation as well. Once we see the question “What is the source of educational innovation?” as a core question of the debate, certain things become clearer. In fact, the answer an individual has to that question is probably highly predictive of what technologies they favor. The current breed of xMOOCs emerged as a fluid hacking together of different educational elements in places like Stanford. In this environment, teachers using the system were encouraged to extend and supplement the product through both technological and pedagogical innovation. But as Bob Dylan would say, things have changed. As MOOCs have reoriented to see a significant piece of their customer base as providers of blended learning (rather than the students themselves) they have failed to invite that user base into the culture of innovation, presumably due to their erroneous belief that innovation begins at the top, then filters down to the masses. The licensing, technology, and content, and supporting community are all designed to preserve their innovation as shipped, in an effort to protect it from the users. On the other hand, EDUPUNK technologies (varieties of cMOOCs, ds106, FemTechNet, Open Course Frameworks, P2PU) have continued to engage their users, asking the the users to experiment, remix, hack, and redistribute. They are, in the words of von Hippel, “user innovation toolkits” which encourage users to alter, and even subvert, given designs. Because they codify much practice in convention rather than code (see, for example, the use of tag-based RSS and the harnessing together of readily accessible technologies) they retain a fluidity that promotes experimentation. They are, in a word, so EDUPUNK. You can look at either of these paradigms, and ask which one is more innovative, or which one fits with your model of education. We can ask which framework is more effective or more suited to various local conditions. But the key question for administrators and policy makers is not just which system is more effective today, but which framework will continue to grow and adapt in the future. And on this question the historical record is fairly clear — open frameworks which allow lead users to hack are the systems that will produce long-term gains. As a case in point, take Lego Mindstorms, a project built over 7 years by LEGO engineers which was significantly improved by user hackers within three weeks of its release. I believe that this idea of fostering user innovation informs the rhetoric of Instructure around the Canvas LMS (the reality will emerge over time). It’s the business plan of Lumen Learning’s Candela OER Project, which acts as a publisher, polisher, and integrator of products produced and maintained by their user base. It’s something along the lines of what Alan Levine is proposing in his recent Shuttleworth grant proposal. And at the same time, it is the antithesis of much of what we see out of Silicon Valley, which, not well versed enough to invent the wheel reinvents instead the tree trunk roller, and then mounts a campaign to get lead users to give up their makeshift wheel-and-axle systems as too ad hoc. The situation is further complicated, because local knowledge is “sticky” in two major ways. First of all, many educators and educational technologists have extensive tacit knowledge of what works that is difficult to express to people who design products. As von Hippel points out, when such knowledge is sticky at the point of use (in this case the classroom), it makes sense to push design functions downstream. Knowledge is also sticky in another way in education. It resists generalization. Despite what Udacity might tell you, there is no “magic formula”. Rather, there are dozens, perhaps hundreds of magic formulas: the success and applicability of which are determined by the subject and skills being taught, the specific capacities of the students, and the nature of the local learning environment. What works in one situation is not always applicable to other situations. When knowledge is sticky in this way, the importance of hackability to innovation is even greater. Yet while industry moves more and more towards recognizing the importance of user-driven innovation the educational-reform-industrial complex still treats such innovation as a disease in need of a cure. The truth is that Salman Khan, Sebastian Thrun, Andrew Ng and others know this at heart — they are all, in fact, former lead users who solved their own problems with technology and then took their solutions to a broader market. And that’s wonderful: we’ve benefited from their contributions. But they are only a fraction of a fraction user innovators out there. We can’t afford to regard these figures as the last innovators to ever walk the earth. If we wish to engage in ongoing innovation, we need to focus on generating conditions that foster more communities of more such people, not less. That means making sure that educational technology is as hackable as farm equipment, shampoo, and skateboards. That means choosing technology for your campus based on what your most creative and effective users need, so that they can advance your local practice, and steering away from lowest common denominator technology. It means looking to our practitioners to lead the way, and then asking industry to follow. And ultimately it requires that we cease to see innovation as a set-and-forget product we buy, and engage with it as a process and a culture we intend to foster. 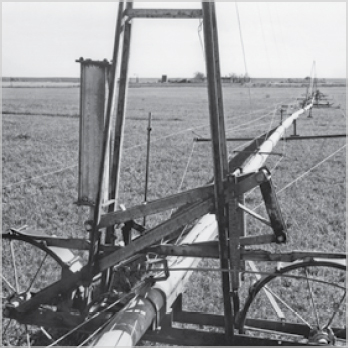 Photo/Image Credits: Center pivot system: USDA, via Wikipedia; Kansas fields: U.S. satellite image via Wikipedia; Center pivot prototype: T-L irrigation; Jim Groom as EDUPUNK: bavatuesdays; Tree-trunk roller: Jonnie Hughes. This USA Today article is unfortunately par for the course in educational journalism today. Phil Hill already has an excellent take on this story, but let me add my two cents. It details the preliminary “impressions” of professors engaged in a three year study that will end in 2016. Despite having run flipped classes, they are in week three of that study. It mentions that flipped models might not work for philosophy, because it’s difficult to come up with “real-world problems” to which one could apply philosophy. This despite the fact that philosophy classes (like many humanities classes) are largely already flipped. It has no mention of sample size, methodology (other than the most basic information), controls, or quantitative findings. It is not clear whether the teachers teaching flipped classroom had any training or experience in the methodology, despite having what looks like a depth of experience in lecture methodologies. Hilariously, the article dates the flipped classroom trend to 2007. What’s more depressing than this is the mass of otherwise intelligent people on Twitter seeing this as either supporting or rejecting nuanced claims. Come on, people. Asking whether flipped classrooms “work better” is like asking which medication or treatment works best for someone’s psychological problems. Not a specific problem, mind you, just psychological problems in general. What’s the one best pill/treatment at any dosage for depression, schizophrenia, ADHD, and/or agnosia? Well, what you’re actually treating matters. Medication dosage matters. Therapy method and frequency matters. Therapist competence matters. Regimen compliance matters. What research actually checks is whether specific regimens are effective for specific problems in specific sorts of cases. When we see good outcomes replicated across a variety of situations, or great outcomes replicated within very specific situations, we label that regimen “promising”, which is where I think certain flipped practices are today. But the details in a thing like this are the whole point as far as research is concerned. So a story that removes the context, student profile, and methodology might as well not be written (or cited) at all. “Thanks to the philosophical foundations of the Internet — open standards, collaborative design, layered architecture — its technologies typically qualify as user innovation toolkits. That wasn’t true, though, for the Internet era’s first wave of educational technologies. That’s why my friends in that field led a rebellion against learning management systems and sought out their own innovation toolkits: BlueHost, del.icio.us, MediaWiki, WordPress. My hunch is that those instincts will serve them well in the MOOC era. Educational technologists who thrive will do so by adroitly blending local culture with the global platforms. They’ll package their own offerings for reuse, they’ll find ways to compose hybrid services powered by a diverse mix of human and digital resources, and they’ll route around damage that blocks these outcomes. What I like best about the post is what a hopeful message it brings. You can see the recent rise of the xMOOC/neo-LMS as a giant step back (and I have at times felt that way). Conversely, you can see it as creating exactly the sort of problems we’ve spent the last decade building toolkits to solve. We were built, my esteemed peeps, for precisely this moment. That’s not such a bad thing at all. About a week ago I critiqued the first half of the Third Way report on the “$10,000 degree“. In that post I talked a bit about bloat and some of the issues with reconstructing college positions. Moving on, the report’s suggestions around use of blended learning and the impact of student success initiatives on cost are fairly familiar recaps of approaches readers of this blog will already know, and given the time this blog has spent on those issues, I’m not sure digging into them again is worthwhile. On the whole, I’m supportive of the idea that retention and decreased time to degree are the most promising foci for anyone wanting to increase the impact of money spent on education. And I do believe that blended approaches (combined with high-quality resources) can address some of our challenges around quality, cost, and access. The more interesting piece of the article, and the one I would like to talk about, is Anya’s plan to save the flagship research university by seeing the state university system as a system. In this section, Anya details a new organization for a state college system. In state college systems as currently designed, there is a lot of overlap in roles, and much unnecessary competition between institutions. In Anya’s plan, different colleges would have more defined roles, and work together (hopefully) in synergy. Most current colleges are transformed into “Cohort Colleges”, non-residential experiences that offer a small range of general purpose degrees. Adult online is split off into its own entity, and research flagships remain close to what they are currently. There’s stuff to like in this reformulation, though I think it’s the principle (move campuses back towards working as a system) that’s more important than the specific practice. The plan also attempts to deal with something most such plans have avoided — the tricky question of how to support research universities as we move away from the traditional cross-subsidies involved in higher education. In the system as outlined, flagship research universities exist in a very similar form to today, serving the specialized needs that the cohort colleges cannot provide. As an interesting solution to the research university problem, the research universities continue to be heavily subsidized in return for providing educational services to the rest of the system: open content, analytics, assessments, infrastructure. This is very much the direction we need to go — the fact that states are not currently producing such materials is criminal. Moderate investments in the production of such resources could improve the quality of education, and could reduce total cost of attendance immediately through providing high quality textbook replacements. Keeping those materials open would allow faculty to make the materials even more effective. Of all the ideas in the paper, it is this one that intrigues me the most. It is one of the best attempts I’ve seen to save the research university from unbundling. At the same time, the concept needs some tweaking. The system as described looks a bit too much like the MOOC system of today — elite institutions pushing out materials to smaller institutions in a broadcast model. We know that successful models will have to be more collaborative in nature. There is also the question of whether flagship research universities are best positioned to build such materials. Anya notes that the lack of diversity of students at such institutions must be addressed if the materials they produce are to be relevant to a general population, and this is true — we saw this most recently with the San Jose State Udacity pilot, which made farm league errors in implementation that your average community college would have known to avoid. But you can’t just swap in different students. The faculty that build digital resources to teach the general population should ideally have expertise in teaching the general population, and expertise takes years to develop. Who has that expertise? In certain disciplines, a community college professor ten years into a career has likely taught 100 sections to a research university professor’s twenty. They’ve also likely taught a broader variety of students, have more exposure to blended and online modalities, and received more instruction on teaching than their more research-oriented colleagues. If the flagships truly hire the best instructors they can find to develop and test materials, the likelihood is that many of those instructors will be from outside the flagship institution. This is in no way to disparage faculty at research universities doing wonderful things in the classroom — I work with such individuals every day. But everything we know about expertise says that many world-class *teaching* experts are likely to come from the pool of people teaching multiple sections of the same class semester after semester. And this is where the model begins to crack. The best teachers aren’t going to be the best researchers, so to the extent we hire the best teachers to put together these courses, our research cross-subsidy disappears again. Still, I think this idea has merit. There’s at least a small need for subject matter experts in esoteric disciplines, and in the end, perhaps society has to just learn to eat the cost of research. Certainly the idea that state university systems should be in the business of producing materials is a strong one; the best configuration to achieve that is murkier. On the whole, there’s a lot in the paper that will look familiar to those following the policy debate of the past couple years. The two recommendations that stand out — for restructuring work roles of employees and restructuring institutional roles within the system — are problematic, but provide some creative thinking and good starting points for discussion, which is what a paper like this is supposed to do. Tayna Joosten asks on Twitter whether anyone has any best practices for reusing MOOCs. I’ve been looking at this with Amy Collier, Helen Chen and others, but we’ve tended to focus on the question of how to create MOOCs that make reuse easier. However, it’s not a big jump to flip that perspective around to the instructor view. So briefly, what are some things we’ve found? The first thing is that the major hurdles to reusing MOOCs look, for the most part, like the hurdles to moving to any learning-centered paradigm. The sorts of issues that faculty encounter look like the sort of issues you see with any move to something like a flipped classroom, team-based learning, or peer instruction paradigm. While that may seem obvious, it really can’t be emphasized enough. Using a MOOC is not going to solve your cultural problem for you. You’re going to have to learn to stand back. You’re going to have to be much clearer with students about expectations than you are used to, and you’re going to have to explain the “why” of the pedagogy to them as well as the how. Pick up a book on blended learning (there are plenty of good ones, but if you can wait until December, I’m going to particularly recommend this one). That said, there are some particular issues/opportunities that arise with using MOOCs that are worth mentioning. All the major MOOC providers currently disallow classroom use of MOOCs without permission. There are exceptions — Stanford Online allows reuse (although I believe individual instructors may set other restrictions? ), and many of the Canvas Network classes are free to use in your class. If you want to use a course by Coursera, edX, or Udacity in your classroom, you will need to talk to them and obtain explicit permission. There is a possibility that they may ask your institution to pay a fee, or place certain restrictions or requirements on your reuse. You might be on a quarter system using a semester system MOOC, or vice versa. We don’t recommend syncing up completely with the MOOC (see below) so some of these things can be worked around. But make sure at the very least that your students aren’t going to be shut out of the MOOC halfway through the class. Know how long the materials are available after the MOOC ends. Know what sort of materials are available before it starts. Textbooks tend to be “overspecified” — that is, there is far more material in a textbook than you would use in any one class. This allows you to customize the class’s focus and level to the students. MOOCs tend to be one very specific view of the subject matter, with little to no extra material. This means you have to think a bit more carefully about the “fit” of the MOOC with your students than you might with a text. Look for a MOOC with remix and reuse rights. If you do find a MOOC you can use in your classroom, pay attention to your specific reuse rights. David Wiley talks about 4R’s openness: the right to reuse, revise, remix, redistribute. Most current MOOCs don’t permit all these rights, but some are better than others. Can you post material from the MOOC on your class blog? Use pieces of it in your LMS? Even the right to do a small amount of integration with the materials can go a long way towards making the experience a coherent one for students. We’ve also talked to one person who has moved to pulling from multiple MOOCs, and recommends that practice. That’s the ultimate remix, and a practice worth considering if you have the time (and legal rights) to pull it off. If the MOOC is running at the same time as your class, it’s tempting to try and stay in sync with the MOOC. Fight that temptation. You may, in fact, end up staying in sync with it, but setting up that expectation with students is going to make falling behind feel like failure. Additionally, there are lots of advantages to staying a week or so behind in the MOOC. You have more time to plan as an instructor, and the quicker students have an opportunity to “work ahead” if they want. The one caveat to this is that your students may want to get a completion certificate for the MOOC, and this may require they complete the course in a certain timeframe. Find out what that time frame is before the class, and encourage students that may want to work ahead a little to do so. This is blended learning 101, but it’s perhaps even more important here. When you are flipping class using your own videos, students recognize the work you put in, and respect your expertise. When you are patching together many videos from different sources, students can see that curation as an expression of your expertise, and respect the amount of time you spend constructing the experience. In this case, however, you may be handing over the entire lecturing piece of your curriculum to one person at a top tier institution. If blended learning can look to some students like the professor is slacking, using a MOOC can look like a complete punt. As such, it’s incredibly important to explain to the students that the lectures free up your time to do the more difficult work. Again, you can learn from other blended instructors here. I used to tell my students the Bloom’s Two Sigma story — how the best performance comes from one on one tutoring, and talk about how our Team-based Learning structure was meant to provide that sort of interaction. Your mileage may vary, but have a speech ready. More from my own experience running other de-centered pedagogies than anything we learned from talking to instructos, but never tell your students they are part of an experiment. Tell them it’s new, and it’s innovative, and that you seek their feedback. But telling them it’s an experiment is read by some students as permission to fail. You’re the one charged with making this experience not feel like the generic, warmed-over leftovers of an Ivy League education, so look for opportunities to bring the local element in. Projects are a great way to do that. With people we’ve talked to, the projects are the piece that makes this feel less like a B.F. Skinner experiment, and helps the students to see the value of the work they are doing. Small things may help as well. You might want to dialogue with the videos — if you disagree with the way something is explained in the videos, provide an alternate explanation. Supplement lectures with local examples that mean something for the students. Don’t be afraid to put yourself in the frame a bit. The last thing you want is for your students to see everything in the MOOC as wisdom brought down from the mountain. Treat the MOOC as a text, and push your students to think and engage critically with it. In the MOOC experience we’ve been pitched, the students in your class are all going to reach out to a student in Brazil at 2 a.m. when they have a problem. In reality, this is not the case. Students in Blended MOOCs tend to rely on other students in their class, not on the global cohort. That’s OK. In fact, that’s what we want — students bonding with one another over classwork is one of those prime indicators of persistence to degree. Remember though that your students are going to need methods to communicate with one another and organize that are not provided by the MOOC. Maybe that’s an LMS, or twitter, or knowing each other’s email addresses. Whatever you decide, make sure your students are connected, and encourage them to reach out to one another. A joke, partially. But because many MOOC activities feel like trying to “beat the machine”, and because the MOOC feels like a far-away entity, your students may not know what constitutes cheating and what constitutes collaboration and support. Set clear guidelines. Explain that what constitutes cheating in the MOOC constitutes cheating in class. This is a difficult line to walk, and it was a major worry of at least one professor we talked to. But like most things, a little clarity up front and occasional policing can go a long way. Maybe it goes without saying — but you can’t switch from the textbook you’re using to the MOOC and give the students the same test you gave last year. Do the work of thinking through what parts of your tests or assignments align with the material covered and practiced in the MOOC. If possible, set up an appeals process to catch and deal with the inevitable mismatches. As mentioned above, students who want to get the MOOC certificate may have to meet a certain deadline. Set up support for them to do that if you are trailing the global MOOC cohort. If the MOOC continues after the class is finished, offer post-class support. In an ideal world, the MOOC runs shorter than your semester or quarter, and finishes a bit before your class, giving students time to complete it, study for your personal final exam, or finish out a project. However the MOOC is structured, make sure you allow adequate time to wrap up your local version of the class, and give students time to reflect on the experience. You may wish to survey your students during the class (I highly recommend Brookfield’s Critical Incident Questionaire as an unbobtrusive way to do that). You may not. But at the very least, survey your students at the end of the experience. Amy Collier (over at Stanford Online) has a very rough draft of a student survey you can use, and hopefully help us improve. You might also look at using the Community of Inquiry Survey which is a validated, well-respected tool to assess cognitive, social, and teaching presence in the classroom. Since so many of the struggles with MOOCs revolve around issues of presence, it’s our (as yet untested) belief that a survey like this could provide deep insights into the strengths and weakness of individual course designs. If you’d like to work with us on a research project around this, let us know. Is Domain of One’s Own a platform? Is Domain of One’s Own a platform? The short answer is no, not in the traditional sense. A platform must have potential, or open space. I call this blue sky. The platform’s API must show thru enough power so you can do anything on top of it. That’s a very elusive idea, hard to define. You want an API to put limits on the problems it deals with, but you also want to leave open the possibility that any developer could pervert the API to make it solve problems that the inventor couldn’t imagine. The author of an API is offering a challenge, saying “blow my mind,” to everyone who might take a stab at implementing something on top of the API. DoOO is not a platform in the traditional sense, as you have to do nontrivial acts of metaphorical violence to talk about the “APIs” of it. But in this larger sense I like to think it is very platform-like. It does create a blueprint of what education could and should look like, via both the included applications and the extant examples that drive it. There are limits on the type of educational projects it is designed to support. It’s not your Student Information System or your analytics backend. Much of the course hub architecture is built on assumptions of open publishing. It does very much capture a specific vision of what net-enabled education is. [Domain of One’s Own] is offering a challenge, saying “blow my mind,” to everyone who might take a stab at implementing something on top of [it]. Neither here nor there, I suppose, but was struck by how Winer’s words resonated against it. I joined Pinboard, the new, ad-free, pay-once-get-it-forever social bookmarking service a few months ago for an educational tech project I am working on. I’m not new to social-bookmarking — I’d been an early user of delicious, a Diigo migrant, and ultimately became a lapsed bookmarker, confused about why the whole thing hadn’t worked out. I think I may no longer be confused. The thing is, I was doing bookmarking wrong. I was bookmarking articles I thought were stellar, carefully pruning my tags. I imagined strangers stumbling on my account, and being impressed by the well curated collection, like the man with the owl-eyed glasses in Gatsby’s library before he realizes the pages aren’t cut. In other words, I thought social bookmarking was about the social element. Now, with a Pinboard archive account that indexes the whole page text of whatever I bookmark and rock-solid API support, I’ve made social bookmarking about me again. And it’s wonderful. I no longer agonize about what to bookmark. If I read something — anything — on the web that I think I might like to remember at some point I click the toolbar Pinboard link and file it. I come up with some terms to index it, but don’t spend more than a couple seconds on them. The point of bookmarking is now to be a Memex, to turn those moments where I tell someone “I think there was an article about that I read a few months ago” into “Here’s a link to an article on that from a few months ago.” Or, more importantly, to call that article to hand when I need it for my own writing. There are a couple developments since early social bookmarking that make this approach possible. First of all, Twitter and Tumblr have largely satisfied the “I’m recommending these links to you” market. Rather than bookmark only notable articles, I use an IFTTT script that takes anything tagged “to:haplr” and posts it to Twitter and a Tumblr linklog, along with my comments. Feed-reading is also integrated. With Feedbin, any post I star flows automatically into my Pinboard bookmarks, creating the rich searchable archive that we once had with Google Reader, only this time hosted in a paid service that is less likely to pull the rug out from under the user. The ease of private bookmarking in Pinboard also changes the dynamic — allowing you to bookmark (and archive) material that you might not want to clutter your public bookmarks with. But perhaps the biggest shift is seeing how unsuited Twitter, Tumblr, and other link-sharing mechanisms can be to certain forms of serious work – the number of times I have found myself paging through my tweetstream trying to find a link to an article I tweeted out that I now need to reference is embarrassing. In any case, if you were once a bookmarker but abandoned the practice, try giving it another shot with a “bookmark it now and sort it out later” approach. Get an archive account, and start caching pages of what you read. Play around with the IFTTT options. I think you might be surprised to find that the abandoned child of the Web 2.0 revolution is actually what you’ve been yearning for the past couple of years.